Maximizing your productivity is one of the most important things to consider when you’re operating a business. This is because, at the end of the day, your worth as a company is calculated in statistics and the most important one is how much profit you’re making. An efficient business understands how to utilize every single resource at their disposable with minimal waste, so in this article, we’re going to talk about several productivity hacks that will completely change the way your business works while also boosting your efficiency. Decision fatigue is something that many people acknowledge, but few work it into their plans. The idea is that you have a certain amount of willpower that is slowly depleted as the day goes on. Once you use up this mental resource, it will be difficult to make decisions and your ability to think and control yourself becomes impaired. This ultimately leads to an unproductive day and poor efficiency. To counter this, consider placing important decision making at the start of the day or during the middle when the brain has had a bit of time to “warm up”. Avoid placing difficult decisions at the end of the day and you’ll find that it will put less strain on your mind. For more information about decision fatigue, take a look at this informative article on how to avoid bad decisions at www.developgoodhabits.com. It’s a fantastic read that will help you figure out different ways to avoid it. One of the most common issues that business owners face is being unable to maximize the potential in their employees. Whether it’s relying more on outsourcing with a company like www.athensmicro.com or cutting back on your micromanagement tendencies, it’s important to remind yourself why you hired employees in the first place. Your employees are there to help your business run efficiently, so if you aren’t delegating tasks to them and entrusting them with some important decisions, then you’re not offloading enough work to them. It might be difficult to trust your employees, but it’s essential if you want to run a more productive business that is both efficient and successful. Did you know that multitasking doesn’t work at all? The reason is simple; you’re overloading your brain. Remember that section about regarding decision fatigue? You only accelerate the problem if you multitask. You might be able to finish five tasks at the same time, but you put yourself through heavy mental strain that ultimately harms your productivity. Instead, focus on single tasks. Do one thing at a time but do it efficiently and quickly so that you can move on to the next. For more information about multitasking and why it’s not efficient, check out this post at www.health.com which goes in-depth on why it doesn’t work and why you should focus on single tasks instead. These three productivity hacks should give you a good foundation to get started with. 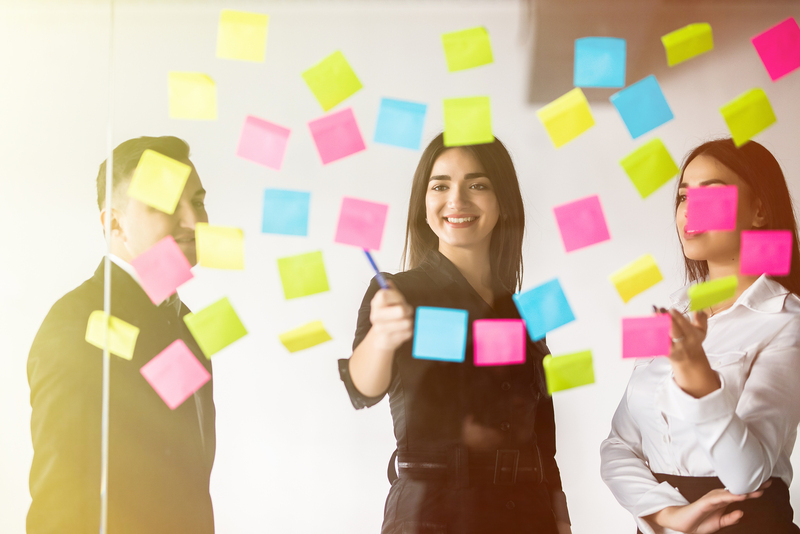 Every business can adopt these tips to help them become more efficient, but how they’re applied to your company will differ depending on your current workflow.